Since the arrival of the First Fleet on the shores of Botany Bay in 1788, close to 10 million settlers have come from all corners of the globe to call Australia home. Driven by the promise of a new life the Great Southern Land, waves of immigrants came to find fortune in the gold rush, to escape the social upheaval of the Industrial Revolution, two world wars and the aftermath of the Vietnam War. These migrants have played a vital role in shaping Australia’s history, forming the multicultural identity we pride ourselves on today. Aboriginals When these first Europeans arrived they did not find an empty land as expected. 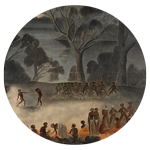 Instead, they found themselves outnumbered by more than 500,000 indigenous Aboriginal people whose ancestors had lived in Australia for at least 50,000 years. Convict Transportation From 1788 to 1868 Britain transported more than 160,000 convicts from its overcrowded prisons to the Australian colonies, an arduous journey that took roughly 8 months by sea. Prisoners were chained up for the entire 8 months, with as many as 50 convicts crammed into each cell. Free Immigrants Between 1793 and 1850 nearly 200,000 free settlers chose to migrate to Australia to start a new life. The majority were English agricultural workers or domestic servants, as well as Irish and Scottish migrants. 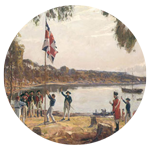 These settlers formed the basis of early Australian society. 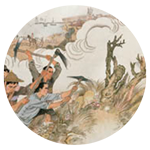 The Gold Rush Thousands of Chinese people came to Australia during the 1850s gold rushes. By 1901, Chinese were the third largest migrant group in Australia after the British and Germans. When the gold was exhausted many took up market gardening or established businesses such as restaurants or laundries. 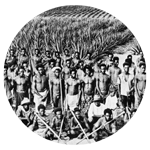 Labourers In the second half of the 19th-century South Sea Islanders were recruited to work on Queensland sugar plantations, Afghan cameleers played a vital role in the exploration and opening up of the Australian outback, and Japanese divers contributed to the development of the pearling industry. White AustraliaDid you know migrants had to pass a dictation test in any European language in order to enter Australia between 1901 and 1958? Following Federation in 1901 Australia’s newly-formed Federal Parliament passed the Immigration Restriction Act, which placed certain restrictions on immigration and aimed to stop Chinese and South Sea Islanders from coming to Australia. 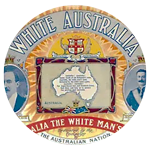 These laws, known as the White Australia policy, were administered by a dictation test and informed Australian attitudes to immigration for the next 50 years. Populate or Perish In the years after World War 2, Australia promoted immigration with the catchphrase ‘Populate or perish!’ to replenish the countless citizens lost at war. It negotiated agreements to accept more than two million migrants and displaced people from Europe, offered assisted £10 passages to Australia to one million British migrants, and finally, in the 1970s, repealed the restrictive White Australia policy framed in 1901. Boat People In the late 1970s a new wave of seaborne refugees docked in Darwin, firstly from East Timor and then from Indochina, most fleeing from war and violence in their home countries. 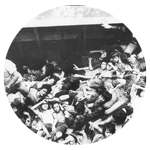 The Vietnamese ‘boat people’ in particular arrived at a time of dramatic social upheaval in Australia, with heated public debate about our involvement in the Vietnam War and the new concept of multiculturalism. 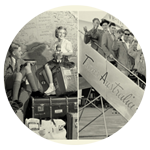 Despite some opposition from the wider community, the relaxation of immigration restrictions meant that most of the refugees were allowed to settle in Australia. Asylum Seekers Since the late 1990s increasing numbers of asylum seekers fleeing conflict in the Middle East and Sri Lanka have arrived in Australia by boat. 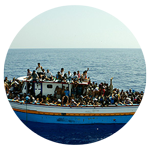 Today the question of how to deal with asylum seekers arriving on unauthorised voyages remains one of the most controversial issues in contemporary Australia.